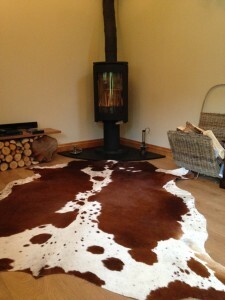 Natural and sustainably sourced, Zulucow’s exquisite cowhide rugs are statement pieces which suit traditional or contemporary homes; urban or country dwellings; loft apartments, ski chalets or country retreats. They are high quality: supple with a lustre and shine and have a deep luxurious pile. Their rich colour and markings are unique having been bred by the Zulus over centuries especially for their symmetry and beauty, for use in shields, clothing and rugs. 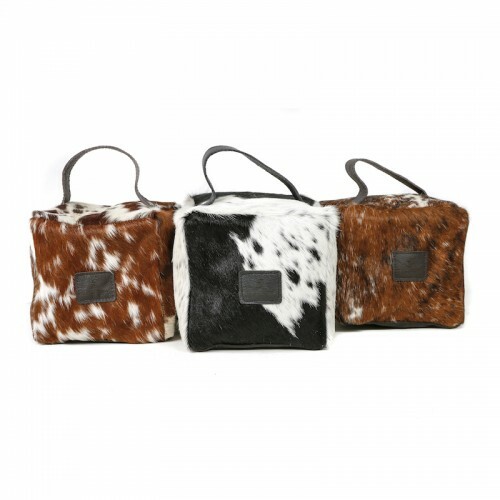 Our sustainably sourced Nguni Brown and White Rugs are approximately 2m x 2m. Other sizes are available. Please email us if you need a smaller or specific size. The hide you select via the drop down ‘colour’ menu is the exact hide you will receive. Zulucow’s hides are robust and easy to clean (if dirtied by muddy human or animal paws.) You can vacuum or brush them. Soak up any spills with a paper towel/cloth and wipe with a damp cloth and/or warm soapy water. Dry the wet area by airing the hide in the shade; not in the sun. As the hair is not a hollow fibre it does not absorb dirt.